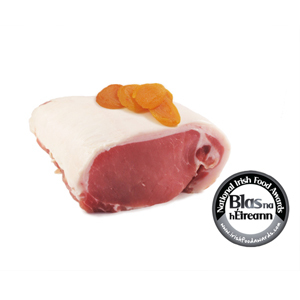 We are delighted to launch our Award Winning Dry Cure Sweet Back Bacon. This product has recently received a Blas na hEireann award at this years Dingle food and wine festival. The festival ran from the 1st-3rd October and culminated with the Blas na hEireann National Irish Food Awards last Sunday night. The Blas na hEireann National Irish Food Awards “celebrate and reward the very best of Irish produce, and the passionate, driven individuals behind it”. We always aim to produce the highest quality of products for our customers and this Dry Cure Sweet Back Bacon is yet another product we can add to our award winning list.